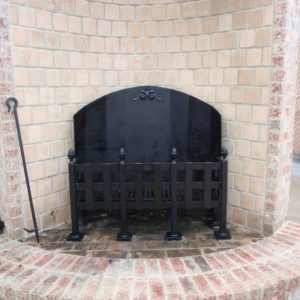 This heavy metal mansion grate can be used in outdoor custom built fireplaces or in inside large fireplaces. 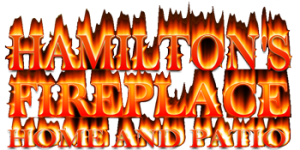 It is a one of a kind grate made ONLY by Hamiltons. 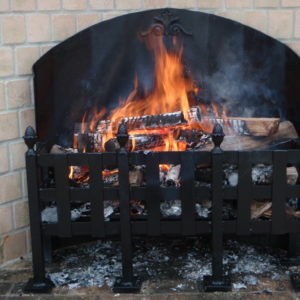 It is Top Quality and will last forever !!! No one will have a beautiful grate like this !!! !